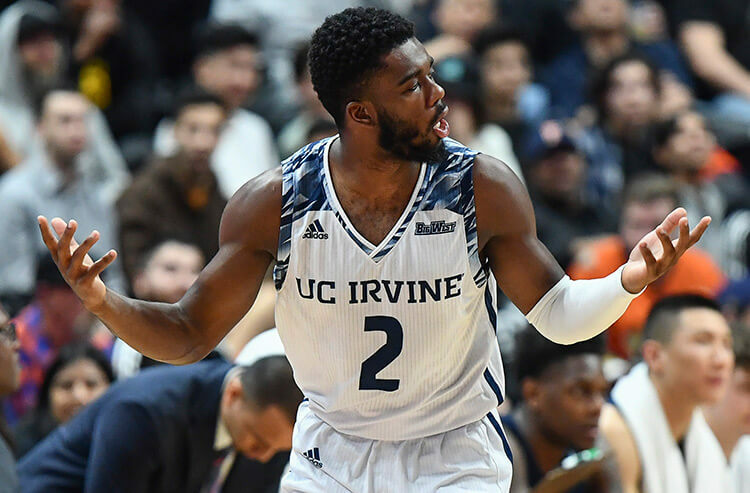 Max Hazzard and UC Irvine have gotten bettors' attention with a 13-0 SU and 9-3-1 ATS run. Kansas State opened -5.5 for Friday's NCAA Tournament tilt, but Anteaters money took the line to 4.5. Sixteen games down on Thursday, 16 more coming up on Friday, as the NCAA Tournament rumbles through the Round of 64. 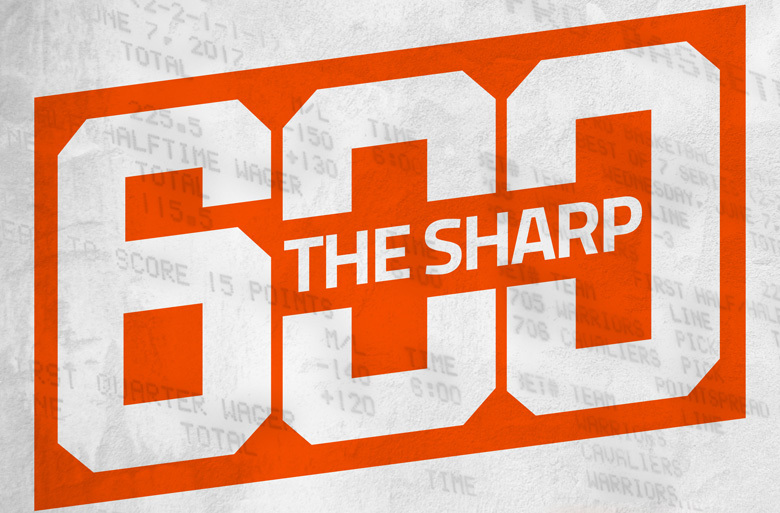 Covers checks in on the action and line movement for a handful of contests, with insights from Scott Shelton, sportsbook supervisor at The Mirage on the Las Vegas Strip. Kansas State won the Big 12 regular-season crown, but couldn’t carry that momentum through the conference tournament. 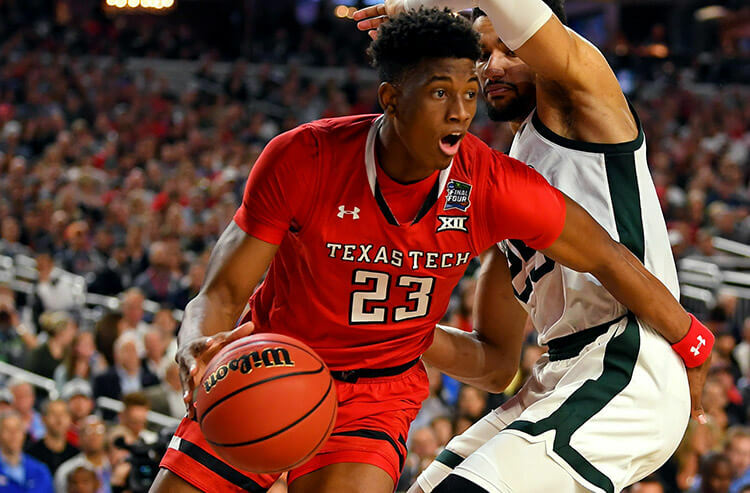 The Wildcats (25-8 SU, 19-13-1 ATS) fended off Texas Christian in the quarterfinals, then fell to eventual tourney champ Iowa State 63-59 as 2.5-point semifinal pups. UC Irvine is the pride of the Big West Conference, winning the regular-season and conference tourney titles. The Anteaters (30-5 SU, 20-13-1 ATS) haven’t lost since Jan. 16, going 13-0 SU and 9-3-1 ATS. In Saturdays’ Big West final, UC Irvine boatraced Cal State-Fullerton 92-65 laying 9 points. Tipoff for this South Region tilt is at 2 p.m. ET. Oregon rides into March Madness on an 8-0 SU and ATS streak, included a four-wins-in-four-days spree as the No. 6 seed in the Pac-12 tournament. The Ducks (23-12 SU, 20-15 ATS) hammered Pac-12 top seed Washington 68-48 as 2-point favorites in Saturday’s final. Wisconsin won four of its last five regular-season games to finish fourth in the Big Ten. The Badgers (23-10 SU, 16-16-1 ATS) then edged Nebraska in the conference tourney quarterfinals before falling to No. 1 seed Michigan State 67-55 as 5.5-point underdogs in Saturday’s semis. Cincinnati won three games in three days in last week’s American Athletic Conference tournament. The Bearcats (28-6 SU, 14-20 ATS) rolled past fellow NCAA Tourney team Houston 69-57 as 5-point underdogs in Sunday’s AAC final. Iowa (22-11 SU, 13-20 ATS) managed to slide into the field of 64 despite a rough stretch ahead of Selection Sunday, as it went 1-5 SU and ATS in its last six games. The lone win was over Illinois in the Big Ten tourney opener, followed by a 74-53 loss to Michigan as 8-point pups in the quarterfinals. North Carolina is rightly a monster favorite in this 9:20 p.m. ET start, as the No. 1 seed in the Midwest Region. 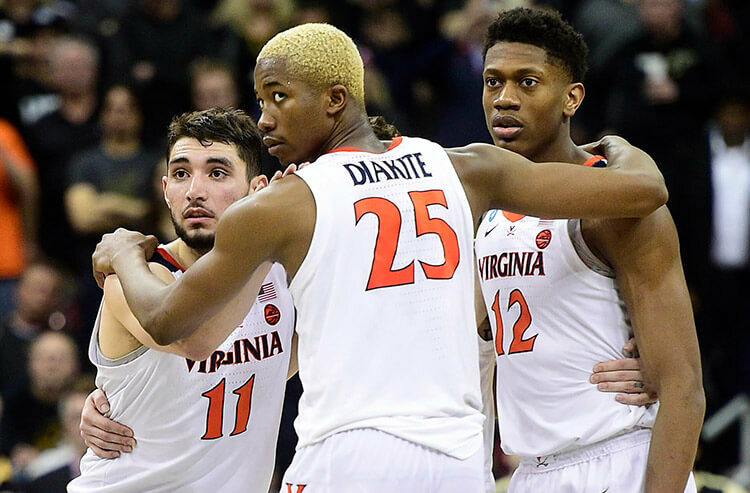 The Tar Heels (27-6 SU, 21-10-2 ATS) were on an 8-0 SU run (6-2 ATS) before meeting Zion Williamson and Duke in the Atlantic Coast Conference tourney semis, where they lost 74-73 catching 4.5 points last Friday. Iona earned an automatic bid to the Big Dance by winning the Metro Atlantic Athletic Conference tournament. The Gaels (17-15 SU, 13-19 ATS) pounded Monmouth 81-60 laying 4 points in the March 11 final. The line drop in this game is not indicative of where the cash is at MGM books. Houston claimed the AAC regular-season crown, but fell short of doubling up in the conference tourney. The Cougars (31-3 SU, 21-12-1 ATS) lost to Cincinnati 69-57 giving 5 points in Sunday’s final. Georgia State won its last nine games, going 7-1-1 ATS while winning the Sun Belt Conference tourney. In Sunday’s final, the Panthers (24-9 SU, 17-14-1 ATS) topped Texas-Arlington 73-64 as 4-point favorites. “Seventy-five percent of the money is on Houston, and 80 percent of the tickets are on Houston,” Shelton said of pointspread action for this 7:20 p.m. ET start in the Midwest Region. Buffalo is on a 12-game win streak (5-7 ATS) entering this 4 p.m. ET meeting in the West Region. The Bulls (31-3 SU, 18-14-1 ATS) topped Bowling Green 87-73 as 11-point faves in the Mid-America Conference final Saturday. Arizona State already has a win this week, having survived the First Four play-in round. The Sun Devils (23-10 SU, 18-14-1 ATS) beat St. John’s 74-65 as 1.5-point favorites Wednesday. Much like Iona-North Carolina, the half-point tick downward in the line doesn’t tell the story of who bettors like here. “We’re lopsided, it’s all Buffalo, 74 percent of the money and 64 percent of the tickets,” Shelton said of pointspread action.